Quest International | Onsite Break/Fix and IMAC & Data Center Mgmt. Responsive, cost-effective onsite service and support. While a proactive model of managed IT services is often a smarter strategic choice — break/fix and on-demand Installs, Moves, Adds, and Changes (IMAC) may be the most cost-effective approach for certain situations. Quest’s field service and depot repair experts can supplement your internal IT support resources by providing additional bandwidth, expertise and geographic coverage. Many of our customers find our break/fix and IMAC services most valuable for end-of-life products/systems, remote offices/branch locations with minimal IT infrastructure, and for installations supported by internal IT staff with new equipment that’s unlikely to require repairs, upgrades, or updates. Quality. Quality is the cornerstone that our decades of success are built upon. Quest engineers and mobile field service technicians are trained and quality certified on an extensive array of device and hardware types. Worldwide network. With our global network of field service techs and engineers, support is always close by. Break/fix and IMAC are part of our end-to-end IT services that span offices, alliances and partners in North America, Central America, South America, Europe, Asia, Australia, and Africa. Legacy and End-Of-Life systems. Quest specializes in extending the useful life of current and legacy IT systems at substantially lower cost than OEM programs. These savings can be especially significant in heterogeneous environments with multiple, disparate product lines. 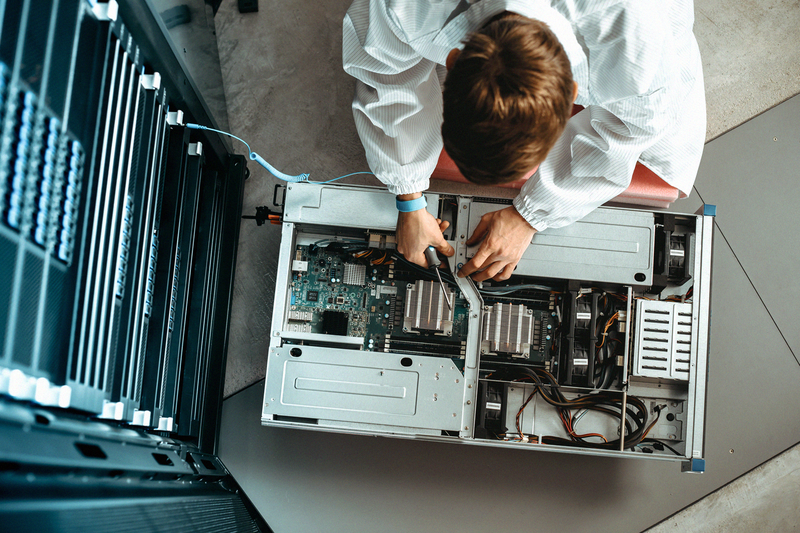 In addition, we are able to leverage our depot repair capabilities to perform break/fix repairs at the component or board level for legacy IT products for which parts are scarce or no longer available. Real-time requests and visibility. Our cloud-based asset tracking and service portal, QuestNet℠, allows online requests and real-time status of tickets to enhance visibility and resolution. Our team of Data Center experts takes a comprehensive approach that is customizable to your specific needs. You get the accountability and responsiveness of a single service provider while developing and maintaining a fault-tolerant IT facility that enhances overall business operations.